Online casino players who are in search of rewarding and exciting games should absolutely consider trying the ones presented by Odobo as it seems to have succeeded in carving a name for itself through a unique approach in providing online iGaming content. Odobo, owned by the award-winning company Odobo Limited, is based in Gibraltar where it opened operations in 2014. Odobo has shaped a marketplace for young game developers; the developers benefit from the economies of scale presented by being part of a group through listing games with the Odobo software portal. As Odobo’s market share blossoms, online casino players will be more pliable to considering a “shopping hamper” of game titles as opposed to individual titles. With 19 contributing iGaming developers in their roster and with more promised in the future, this combined behemoth has listed roughly 55 different gaming titles. These titles cover a raft of popular genres which includes scratch cards, video slots, bingo, keno, arcade style games plus table games like Blackjack, Baccarat, Roulette and Poker. One unique game series is sure to draw greater interest based on its captivating set; Sport Shotz by Jannio. Each of Jannio’s 6 titles is based on mainstream sports which comprise horse racing, American Football, Soccer, Cricket, Tennis and Golf. Additionally, the slots offered have some amazing titles that include traditional slot games as well as themed video slots. A number of progressive slots are also available, with some of the more popular titles being Bill and Ted’s Excellent Adventure, The Ante Engine, Monster Mash, Robyn and The Odd venturers. Odobo is banking on a detailed plan for each facet of the iGaming process through their Game Development Kit (GDK) which is used by developers to create games, test them, then submit them for Odobo’s approval and upon approval, online casino owners can then offer the licensed titles to their clients. In order to give their online players a smooth experience, Odobo’s software platforms embrace the HTML5 and CSS3 format specifications. Additionally, each one of Odobo’s 19 content developers including Genesis Gaming from USA, UK-based CORE Gaming, Chinese Yoyou gaming, Vienna-based Rabcat, London-based The Games Company plus Spicy Horse and Canadian Old Skool Studios similarly embrace the same HTML5 and CSS3 modules as the prime game development tool. Once released, developers have an assortment of options in how they promote their game titles, distribute them and make money. There are a number of different bonuses offered and any player wanting to test these games may look for an Odobo casino free spins offer or a no deposit bonus. Gamers may also check out the exclusive bonuses for more no risk offers, with the more popular Odobo casinos offering being 100% up to $200. Still, players must be sure to check around as these may differ contingent to the casino website. Since Odobo develops high definition (HD) games that are all powered by HTML5 and CSS3, this means they can be accessed through instant play (flash) mode and can as well be programmed to be compatible with mobile devices that use Windows Phone, iOS and Android or operating systems without needing to download them. 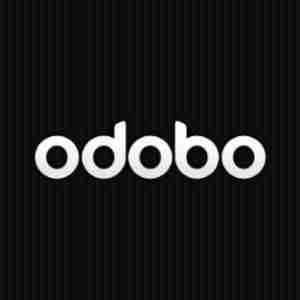 In addition, Odobo offers a native app that is available from the App Store. Being based in the leading jurisdiction for regulated gaming, Odobo are renowned for their attention to detail and high standards in addition to co-opting all regulatory requirements that includes built-in age verification systems for their operators as well as spending control mechanisms which ensures responsible gaming. They’re licensed and regulated by the Gibraltar Gaming Commission.